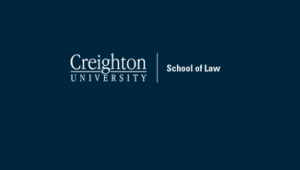 The Creighton Law Review Spring 2016 Symposium entitled “The Development of the Model Rules of Professional Conduct and Ethical Implications for Transactional Attorneys” will be held on March 18, 2016. The Law Review is currently soliciting papers to be presented at the Symposium and published in the fourth edition of our forty-ninth volume. The due date is Wednesday, December 23, 2015. Those authors interested in presenting at the Symposium and having their article published in the fourth edition must submit their interest to justinapiatek@creighton.edu accompanied by an abstract of 250 words or less explaining their intended article. The Symposium will center on the Model Rules’ development and current application to transactional attorneys. The theme of ethics and transactional law can be interpreted very broadly, and the Law Review welcomes submissions addressing a variety of issues.